The WVLBC is always looking for new people to join our club and be part of a great group of people. Not only does our club offer bowling 12 months of the year, but it has many amenities to offer to members. 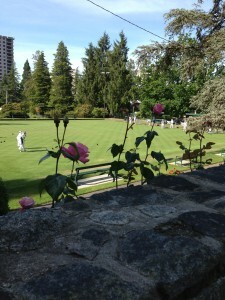 The club hosts many special events, holiday parties, BBQ’s and charity functions. Our fees are very minimal for your first year as we have lowered the rates to make sure you have the ability to come on in and try out the game. We want you to try out the sport to see if it’s for you so that you feel comfortable. We encourage you to come on out and try the game before you commit to being our newest recruit. As for an annual membership after that first year – it’s basically equivalent to one round of golf so come and join us for the best value in the city. Great people, great club, great sport! *The Outside calendar year runs from March 15th – March 15th. The Short Mat season is from Oct 1st – March 15th. Coaching is available throughout the summer on Sundays at 12.45pm. The club is lucky enough to have volunteers who will help new members in strategy, skills and etiquette of the game. This year coaching will start May 6th so feel free to bring your friends and come and join the fun. Call Taka Crowston, our Coaching and Games Director on 604-331-1737. No Bowls? Not a problem as the club has all the equipment necessary to get you off and running. 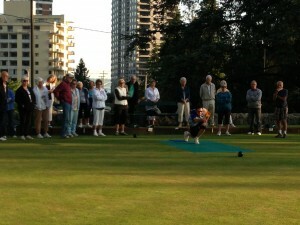 You can use the club bowls as long as you would like until you are set to make the commitment to buy your own. 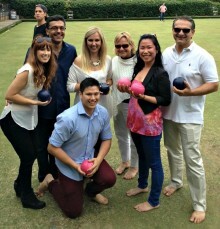 We have direct ties to all the top lines of bowls and as well as having used bowls for sale.